When you study with us you’re not studying at any old school. 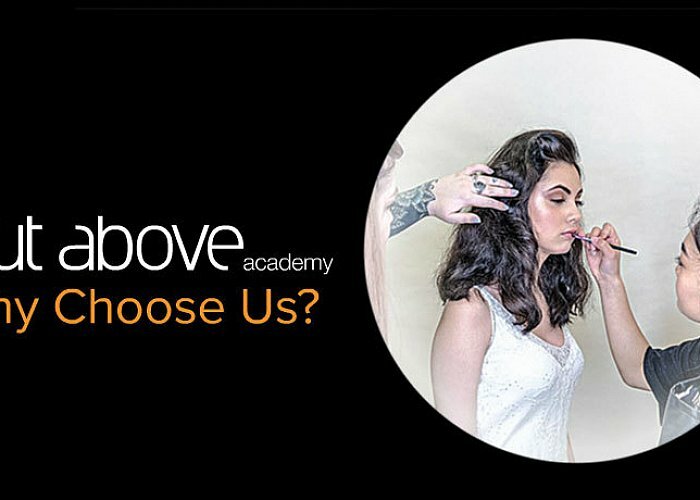 Our students spend every day in our cutting-edge campuses, either studying the fascinating theory behind hair and makeup, or putting what they have learned into practice, on real clients, in our on-site salons, studios and barbershops. We work with leading makeup artists and hair stylists such as; Gee Pikinga, and Dylan Quinn, to give you the added edge. We work with professional lines such as, Wella Hair and GHD. Invite your family or friend to the campus for a cut or colour from our students and supervised by our expert tutors. We have an on-site salon and barbershop open to the public giving you the opportunity to practise your consultation skills on real clients. Practise life-like special-effects makeup and learn from the best in the business with our industry partner WETA. Classes are small, so you get lots of help from expert trainers and can focus on your skills and confidence. Our Auckland inner city campus has been newly renovated and is in the heart of Queen Street. We’re also based out South with our Manukau campus. Get out in the industry with the chance to work backstage at events and shows like; Pacific Fusion Fashion and Project Runway. Keep up-to-date industry knowledge and offer our students employment opportunities in their Barbershops.